It’s time to clean up the craft room and let go of all those art goodies you are just not using. 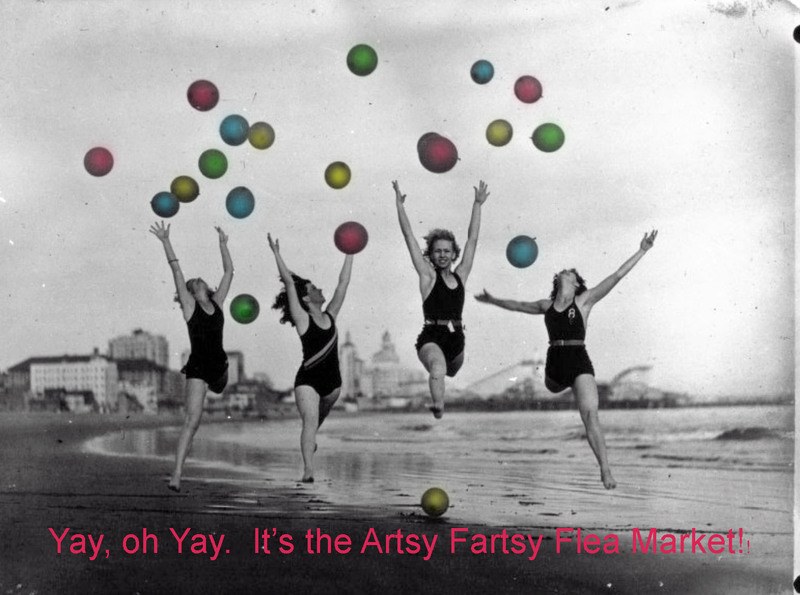 On June 14th and June 15th, RubyDog’s will be hosting The Artsy Fartsy Flea Market at New Westminster Quay. 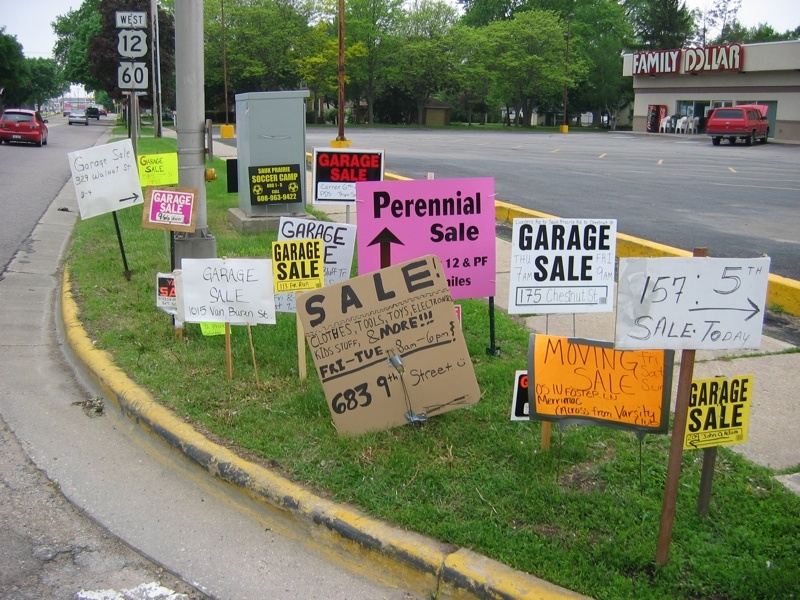 The focus is on selling art and craft supplies, books, magazines and ephemera. There will also be a few tables available for those of you who want to sell some handmade items. As well, I’m going to have a ‘free’ table to which you are welcome to add some goodies and I’ll be setting set up a crafty table to occupy the little ones while you’re shopping. If you want to split the weekend with a friend, whereby one of you is there on Saturday and the the other person is there on Sunday, that’s fine with me. As well, if you only need 1/2 a table, let me know and I’ll try to match you up with somebody who wants the same. If money is a challenge, we can work something out. New West Quay is a fabulous space. There’s a circus school for kids, Donald’s Market for healthy grocery shopping, an excellent food fair, a retro furniture store and an artisan shop. Parking is $1.50 per hour or $6.00 per day, but if you buy $15.00 worth of groceries from Donald’s Market, you’ll be refunded $1.50 of your parking cost. A sky train station is right across the street, for super easy public transit access. New West Quay will be posting the event on their website and I’ll soon be distributing flyers. If you have a space to put up a flyer, let me know and I’ll email a copy to you. If you want to distribute some around your area, I’m happy to meet up with you or snail mail out a few. I would greatly appreciate it if you, my fabulous customers, would promote this event through your own blogs, facebook pages, twitter accounts, contact lists, etc. The more people, the better! Okay, we really have to stop torturing animals. I am getting quite sick of the barbaric acts we perpetrate on our animal friends. Please sign the petition to bring a referendum to vote halting the captivity of whales and dolphins in Stanley Park. On April 17th, it’s the final Studio Art Grad Show from Capilano University. Despite huge public outrage, Capilano is cutting out it’s 40 year old art program. As usual, in the face of budget shortfalls, the arts are axed. This is your last chance to view the amazing talent from this university. It’s being held at Gordon Smith Gallery at 2121 Lonsdale Ave. in North Van. from April 18th through the 25th, daily from noon to 5 pm. 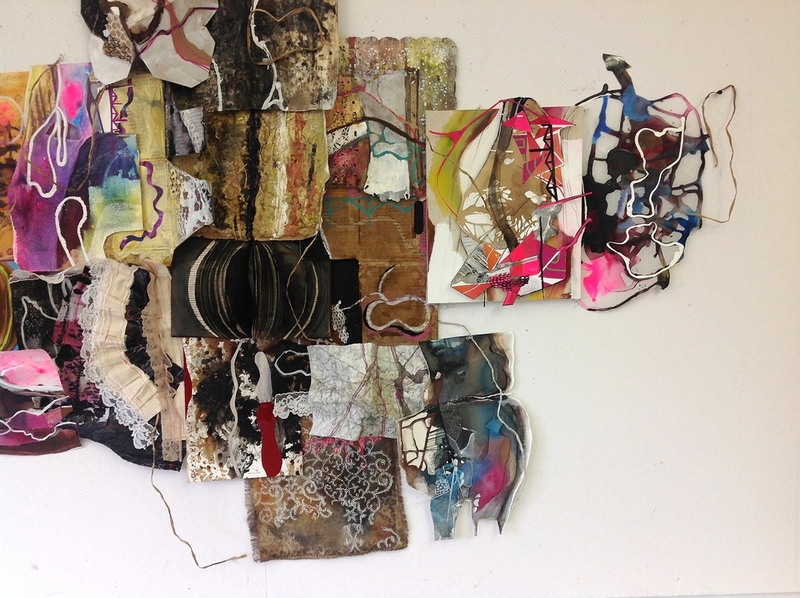 The opening reception, which is always fun, is Thursday, April 17th, 6-9 pm. Another great upcoming event: The Stone Soup Festival at Britannia Community Centre on May 10th. There will be artists and garden info and free soup and author talks and workshops and music and ……… It’s held both inside and outside the community centre and is a wonderful way to spend a Saturday. 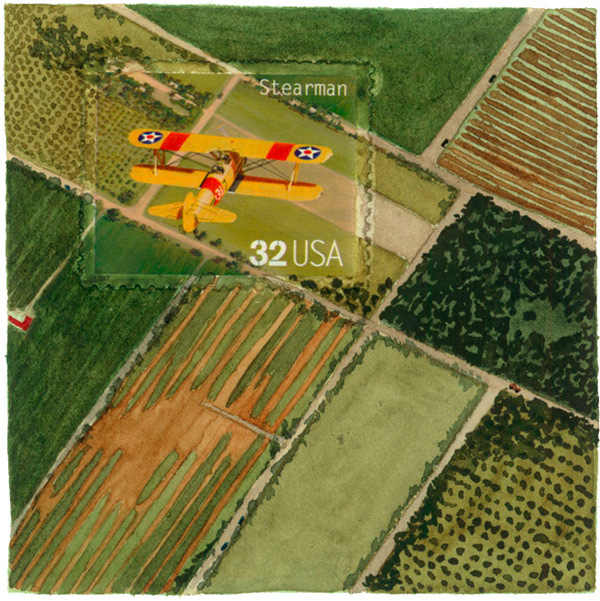 You have to check out Molly Rausch’s postage stamp paintings! Take a really good look at them. The stamps are not always obvious. The South Delta Artists’ Guild is hosting a juried show in August with a grand prize of $1000.00. Called ‘Oil and Water’, the final submission date is June 27th. Hey, here’s yet another fabulous library discovery: Free events and workshops! You can learn how to use WordPress, Twitter or Facebook, listen to author talks, send your teens to a Manga group or DIY night, play some board games, learn how to grow veggies, join a book club, get your finances in order, etc. etc. etc. Looking for an artsy fartsy quote? Check out Robert Genn’s list. This weekend RubyDog’s will have a table at The Curious Flea, an all-weekend flea market focussed on mid-century modern, kitsch, steampunk and up-cycled art treasures. It’s at the New Westminster Quay. Parking is cheap and it’s only 1 block from the New Westminster Skytrain Station. The North Vancouver Community Arts Council is looking for artists to participate in show titled “The Reclaimers”. If you create recycled art (and if you’re reading this blog, it’s highly likely) you have until March 1st to make a submission. Hey, I found this great Meet-Up group – Vancouver Urban Sketchers. If you’re into drawing, even as a beginner, check them out. They meet at different places to sketch together and are totally open to having newbies join them. Have you seen the courses offered at the Pacific Northwest Art School??!!?? Yikes, some of my favourite arts and crafts books are written by these instructors. Jesse Reno will be there, too, for those of you who never had a chance to work with him in Vancouver. And the icing on the cake? -The school is on Whidbey Island! Go to their website and drool over the courses. Trust me on this. Are you sitting in Toronto, reading this post? Lucky you! On right now, until Sunday, is The Artist Project, Toronto‘s celebrated contemporary art fair. One of our own is there – Lori Popadiuk – so make sure to drop in and say hi if you’re fortunate enough to visit the show. 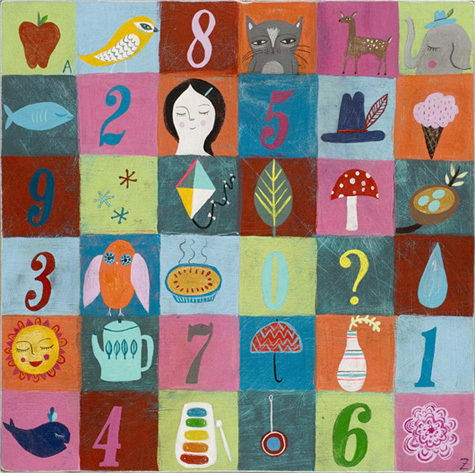 Mati Rose’s bright and fun paintings. Scott Bergey was an airplane pilot who didn’t even try creating art until he was in his 30’s. I, for one, am glad he did! Oops. Almost forgot to tell you about the ATC update. I’ve posted the monthly themes for 2014 on my ‘ATC Info‘ page. You should go to the swap one month. It’ll get you sitting down and making art. Now, I have to stop writing and finish pricing goodies for the flea market. Hope to see you there!